The Good Ole Days and My Smashed LifeSavers - Toth Mold/Die Inc.
On my way into the shop this morning, I stopped at a gas station for a cup of coffee and there on the counter was a display of LifeSavers (You know… “A Hole Lot of Fun Candy”). It brought back memories of the good old days back in the late 70’s at Toth Mold/Die. During one hot summer day, tempers were flaring up due to a rush job that had to be finished. We were on our 18th straight hour of work when I realized my brother Tom had made a mistake on the job which got me very irritated and I started to yell at him. 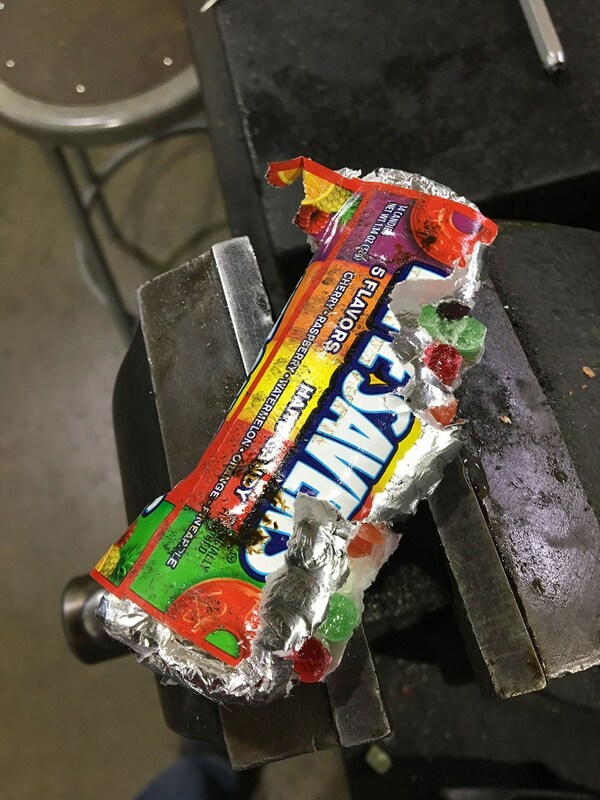 In return, Tom got very angry and in the heat of the moment he grabbed my beloved pack of LifeSavers off my bench, ran over to the bench vice, shoved them in and squeezed as hard as he could to completely destroy them. Man was I pissed. Funny how little things back then seemed to be so monumental. In the end, we did finish the job on time!